Live view from outside Penguin Coast. Visit this cam to see penguin activity including feeding times at 10:30am and 3:30pm every day. Live underwater view of penguins swimming. 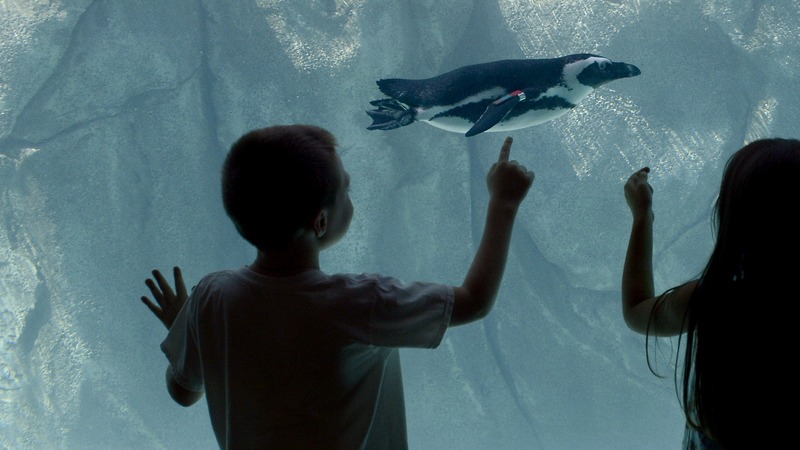 See deep diving up to 8 ft beneath the surface in the Penguin Coast swim channel.